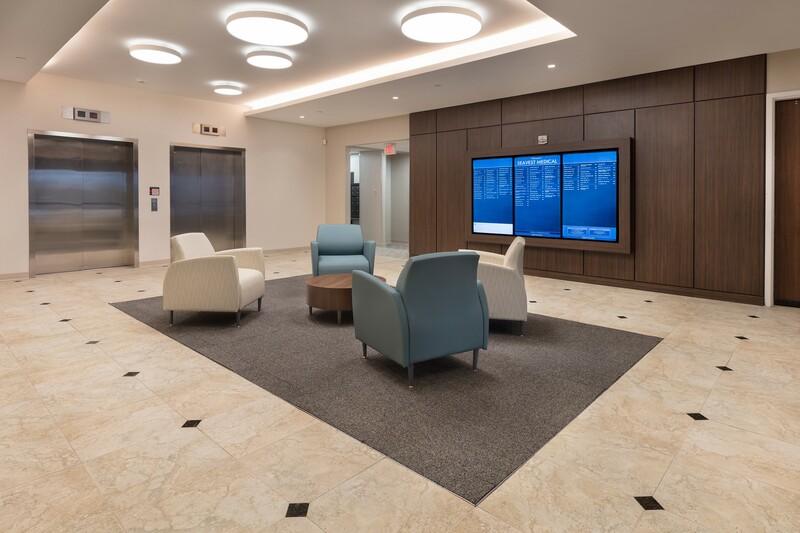 FAIRFAX, Va., and WHITE PLAINS, N.Y., Nov. 15, 2017 – Real estate investment firm Seavest Healthcare Properties LLC recently completed renovations at both 3650 and 3700 Joseph Siewick Drive on the campus of Inova Fair Oaks Hospital in Fairfax, a suburb of Washington D.C. Seavest will hold a ribbon cutting ceremony today to celebrate re-opening of the buildings at the newly renovated facilities. Formerly known as Fair Oaks Professional Building and Fair Oaks Medical Plaza, the buildings have been renamed the Patient Care Centers at Inova Fair Oaks following the completion of extensive renovations. 3650 and 3700 Joseph Siewick Drive were purchased in 2013 and 2016, respectively. The 160,000 square foot facilities house a spectrum of medical practices and include an urgent care walk-in clinic, wound care center and diabetes center. Since the acquisitions, Seavest Healthcare Properties LLC has invested more than $1.7 million into the buildings’ renovations. Capital improvements to the buildings include renovations to the buildings’ lobbies, restrooms and common areas, upgrades to the mechanical systems as well as finishing a newly renovated clinical timeshare suite. The Patient Care Centers at Inova Fair Oaks flank the 182-bed Inova Fair Oaks Hospital and are conveniently adjacent to ample parking in surface lots surrounding the buildings and in a four-level, 950-space parking garage. For leasing information and space availability at the Patient Care Centers at Inova Fair Oaks please contact Sarah Feitel-Sanders of Health-Pro Realty Group at (301) 366-3879 or sfeitel@medicalanddentalspace.com or please visit the buildings’ new website at www.fairoaksmedicalofficespace.com. Seavest Healthcare Properties LLC is a real estate investment management firm focused on the medical office and outpatient facility sector. The firm acquires existing properties, joint ventures with established developers to build new properties, and asset manages medical office buildings, outpatient facilities and similar healthcare real estate assets. A pioneer in this sector, Seavest made its first healthcare real estate investment in the mid-1980s. Today, the firm has a significant portfolio of medical office and outpatient properties which are controlled through dedicated healthcare real estate investment vehicles. For more information, please visit www.Seavestinc.com or call 914.683.8474. Inova Health System is a not-for-profit healthcare organization that provides a comprehensive network of hospitals, healthcare facilities and services throughout Northern Virginia. It is one of the largest private healthcare delivery systems in Virginia and the Washington, D.C., metro region. 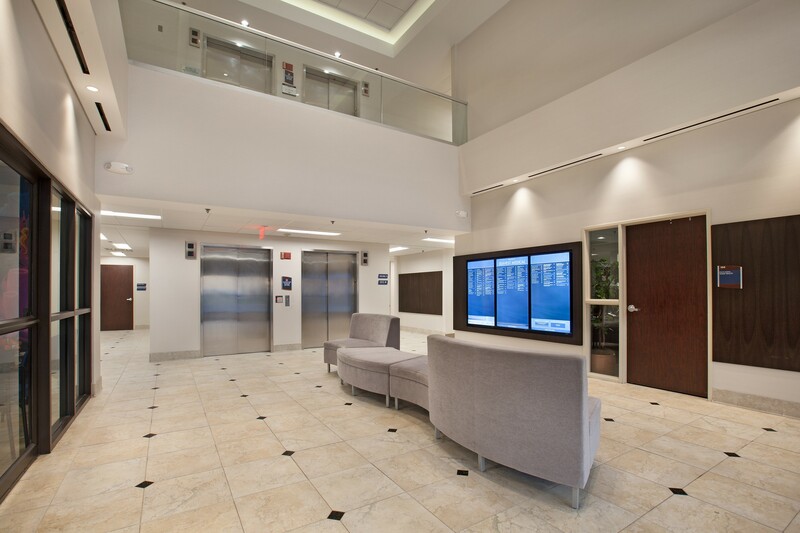 The Inova system includes hospitals, nursing homes, assisted living communities, emergency and urgent care centers, a home health agency, an outpatient surgical/24-hour emergency care facility, and a variety of health and wellness classes for the community. Inova Fairfax Hospital, its 182-bed flagship facility, is a nationally-recognized community hospital serving the full range of medical and surgical services, including cardiac care, obstetrics, orthopedics, pediatrics, emergency and critical care, bariatrics, extensive diagnostic and outpatient services, and outpatient surgery services.